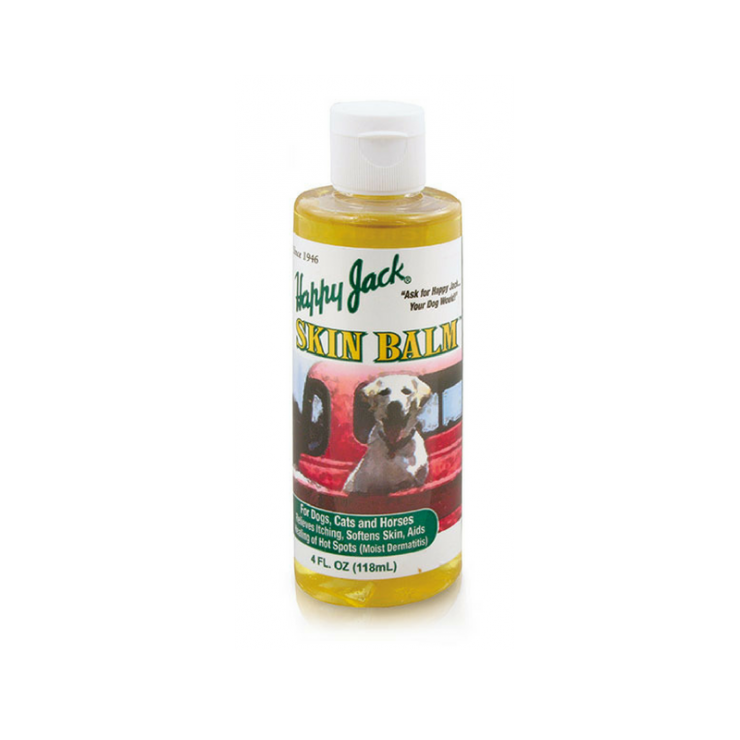 Ideal for indoor use because of its non-staining, pleasant smelling formula, Happy Jack Skin Balm is recommended for rough, dry, scaly skin, loss of hair, and intense itching. In advanced stages, skin takes on the appearance of elephant hide. Skin balm softens the skin, relieves itching and helps return your animal’s coat and skin to a healthy state. If your dog or cat is constantly itching, scratching and gnawing, Skin Balm will bring fast relief as it gently soothes and aids healing to irritated areas. For dogs, cats and horses.